Love is complicated, especially when your wife is a German spy. 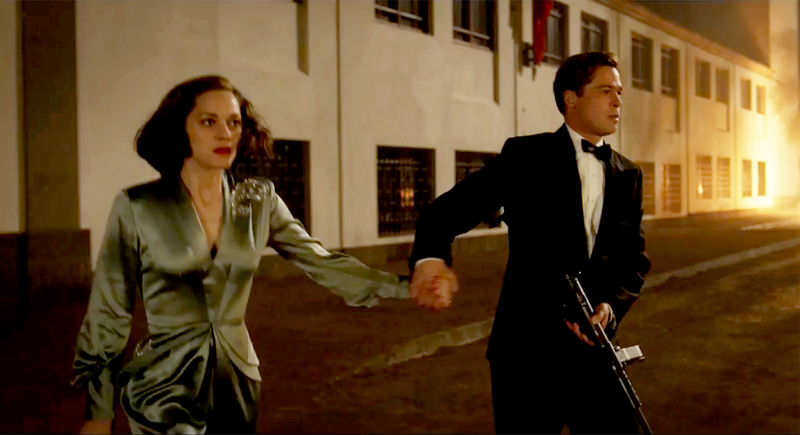 Paramount Pictures released an action-packed new trailer for Brad Pitt and Marion Cotillard&apos;s new film, Allied, Wednesday, October 5. In the clip, intelligence officer Max Vatan (Pitt) falls in love with French Resistance fighter Marianne Beausejour (Cotillard) in North Africa in 1942. The duo, who are forced to work together during a joint operation, end up starting a family in London, but their marriage quickly goes awry when he finds out that she may be a Nazi spy. The romantic thriller, which was directed by Oscar winner Robert Zemeckis, also stars Lizzy Caplan, Matthew Goode and Jared Harris. 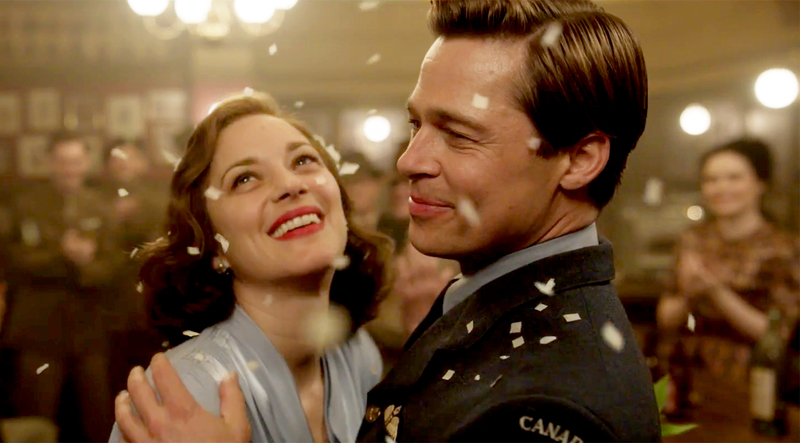 Prior to the release of the trailer, Allied created some early buzz last month amid Pitt&apos;s real-life drama with his estranged wife, Angelina Jolie. After the Mr. & Mrs. Smith actress filed for divorce from her husband of two years on September 19, rumors immediately swirled that Pitt, 52, had an affair with his onscreen love Cotillard, 41. Just one day after Brangelina&apos;s shocking divorce news rocked the world, Cotillard announced via Instagram that she was expecting her second child with longtime boyfriend Guillaume Canet. She also addressed the affair allegations, writing, "This is going to be my first and only reaction to the whirlwind news that broke 24 hours ago and that I was swept up into … I do very much wish that Angelina and Brad, both whom I deeply respect, will find peace in this very tumultuous moment." Allied hits theaters Wednesday, November 23. Watch the full trailer above!